Movement is not like your traditional corporate gym. We’re a proud independent local Winnipeg gym with a mix of members and private training clients. Check out our judgement-free training environment that caters to different training styles. We help our clients and members succeed. Don’t let yourself be held back for another workout. Contact us now and join the movement. The staff at Movement are wonderful and very helpful. Movement has all the equipment we need to train for powerlifting. The location is so close to home and brining the kids makes training so much easier knowing they're welcome there. Nice looking gym. Staff seemed chill. I took a class called weapon factory there. The coach was knowledgeable and a good guy. Will be back to try out that class. Lots of power lifters and what seems to be a kickboxing area as well. A mix of a lot of different crowds with different abilities. Great staff and great place to get a workout in. Plenty of room and equipment to complete your workouts. Great hours and all friendly members! Work with a certified personal trainer to help achieve your fitness goals including fat loss, rehab, strength and conditioning, sports training. Custom fitness program based on your needs. We all know that we need exercise to stay healthy, but sometimes it’s hard when you’re unsure of what to do in the gym. With Accessible Training Sessions you receive a consultation to determine and meet your exercise needs, a custom workout plan, and a full access membership. You’ll also get access to a Certified Exercise Physiologist who will be onsite and available for questions 8am-5pm weekdays and 12pm-3pm Sundays. All this for less then the cost of personal training. Memberships give access to the facility and use of all of the equipment within the gym. Train with the best and stay motivated throughout your workouts. We want to help those who are unsure where to start their health and fitness journey. With our program plans, you will receive a full assessment with a program created around your specific needs. Classes are taught by independent trainers. Memberships are not required. Contact trainer for pricing. At Weapon Factory we are working to CREATE and BUILD Weapons. Together we can hold each other accountable and, push our own individual limits in the most welcoming and positive atmosphere. Sessions are strategically and progressively created so that you will never feel like you are just “going through the motions”, or hitting a plateau. You will build an amazing core, functional strength, coordination, power and amazing endurance. Contact Mik Gerylo for pricing and info. At TEAM Training, you will be inspired to tap into your fierceness, realize your potential, and become stronger than you ever thought possible. You will witness others pushing themselves, and be challenged to push yourself further! You will receive encouragement, and be moved to cheer others on! You will have FUN with fitness, laugh it up, and turn your workout into the best part of your day! The key to success? TEAM work. Together Everyone Achieves More. Contact Lindsay Schluter for pricing and info. Split the cost of private training sessions with a friend. Ask us for details. As a CEP, Cody’s primary focuses are in athletic development and fat loss. He is also well-versed in rehabilitation training for athletes and working with special populations who have specialized health needs, including arthritis, osteoporosis, COPD, PAD, and cancer. As a powerlifter, Cody held the Manitoba Men’s Open Unequipped record at 74kg. He is passionate about training, and leads by example. Personal Training $35 / half-hour session or $55 / hour session. Split the cost of personal training when you sign up for semi-private training. Hi, my name is Tommy Howell and I am the new part-time employee at Movement. I am currently in the Athletic Therapy program at the University of Winnipeg. 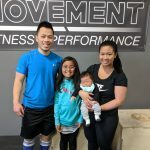 I am passionate about getting stronger inside and outside of the gym and aim to provide the best environment for you to succeed in your fitness goals. If you have any questions for me or about the facility do not hesitate to ask. I look forward to meeting you! Mik has been training individuals and running fitness classes for over 9 years. He has always been involved in many sports and now has found his passion in Obstacle Racing. Along with being a Physical Education Teacher Mikhail is an athlete for Spartan Race Canada. “Obstacle Racing has taught me to be such a balanced athlete from running, strength training to agility and hand eye coordination. These races demand it all!”. My goals as a trainer are to teach others what I have learned through experience. I want people to enjoy the process through fitness and realize they can work towards any individual goals with the right dedication and knowledge. Daniel was in the CF Army Reserves for 5 years and has 7 years+ experience in Kickboxing/MMA. He loves helping others overcome challenges to reach their personal goals. He is extremely passionate for helping fighters with their strength and conditioning. Peaking fighters’ conditioning for fights is his speciality. His overall goal is to help people become better versions of themselves. 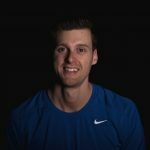 Gavin McHale is a certified Exercise Physiologist (CEP) and holds a Bachelor’s degree in Kinesiology from the University of Manitoba. He works primarily with former athletes who want to perform and feel like pros without living in the gym. 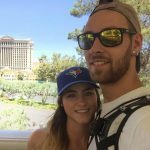 Gavin was a goaltender at the Western Hockey League and College level, has trained young athletes to older adults and spoken to countless individuals, elite athletes, sports teams and businesses about fitness, lifestyle and nutrition. Gavin’s main goal is to educate people on what they’re doing and why. 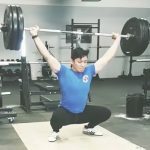 He loves assessing movement and allowing everyone to train pain free in order to reach their goals and gain the confidence that strength training gave to him. Her approach to fitness includes a distinct strength focus, with an emphasis on balanced muscle development, progressive overload, exercise variety, and a fun, high-energy vibe! She is a big believer in the tribe mentality, whether it be small-group training or TEAM Training, with an understanding that Together Everyone Achieves More. Jon Jorundson, B.Kin, B. Ed. 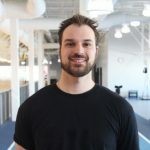 Jon is a graduate of the University of Manitoba with a Bachelor of Kinesiology and Bachelor of Education, and is currently working toward becoming a Certified Strength and Conditioning Specialist (NSCA). 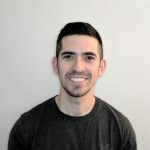 As a trainer, Jon is dedicated to helping clients reach their fitness and lifestyle goals, but also takes pride in educating and inspiring others to make lasting positive lifestyle changes. 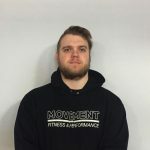 Whether you are looking to increase strength, improve quality of movement, and injury prevention or you are looking to improve physical longevity, Jon is dedicated to tailoring an individualized program specifically towards your goals. 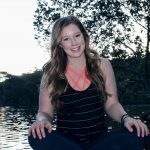 Lexie is a Certified Athletic Therapist and Personal Trainer who holds a Bachelor of Kinesiology from the University of Manitoba. She is also studying to become a Nutritional Therapy Practitioner. Her philosophy: find a balance that works for you – one size does not fit all – you are an individual. Her goal is to help her clients build confidence in their ability to reach their fitness goals. 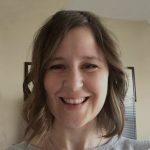 She teaches foundational exercises, designs sustainable fitness plans and continually assesses movement patterns so that you can train pain free and feel empowered by your workout. Lexie is a big believer in preventative measures including: education, proper nutrition, stress management and stretching & mobility. She offers Personal Training & Athletic Therapy Services and will be offering Holistic Nutritional Services this fall. Learn more at Wild Sparrow Wellness. 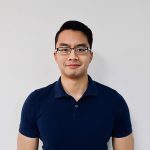 Hao-Yi has his Bachelors of Human Nutritional Sciences from the University of Manitoba. 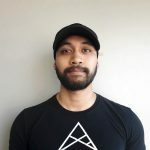 He currently has several years of experience with sport & fitness nutrition, working out of locations including the Canadian Sport Center (Manitoba), Active Living Center, and Movement Fitness & Performance. 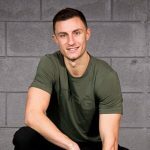 He works with athletes, fitness lovers, and people looking to incorporate healthy nutrition habits into their lifestyle. He also provides education, and has talked to health care groups, sport teams, and schools. Hao-Yi himself has a background in combat sports and powerlifting. Hao-Yi focuses on providing person-centered nutrition services. This includes consultations, nutrition assessments, macronutrient guidance, meal plans, group education, and more. It’s nutrition for improving health, wellness, and performance. This is our annual Powerlifting meet and it will be capped at 42 competitors. Half of the admission proceeds will go to the Winnipeg Humane Society. Sanctioned by: Manitoba Powerlifting Association as representatives of the CPU and IPF. Want to stay up to date with news? Join the movement list here.